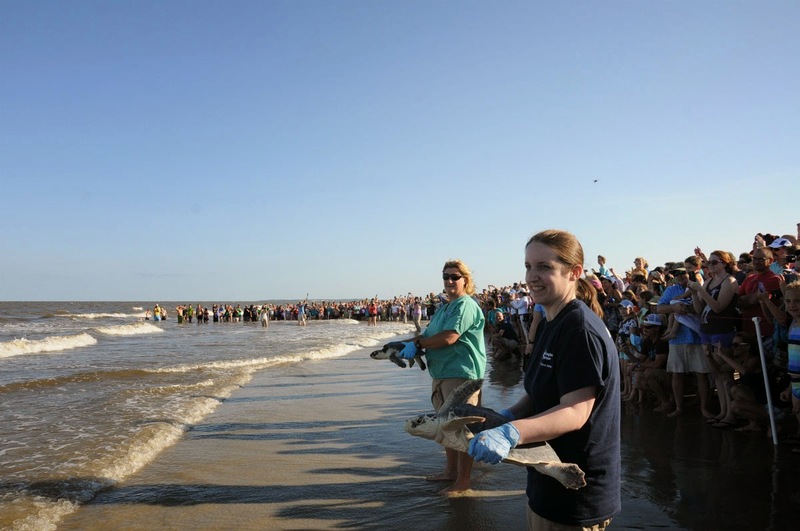 We made it to Georgia with our precious cargo, and as many as 400 or 500 people were lining the beach to watch these endangered sea turtles return to the ocean. 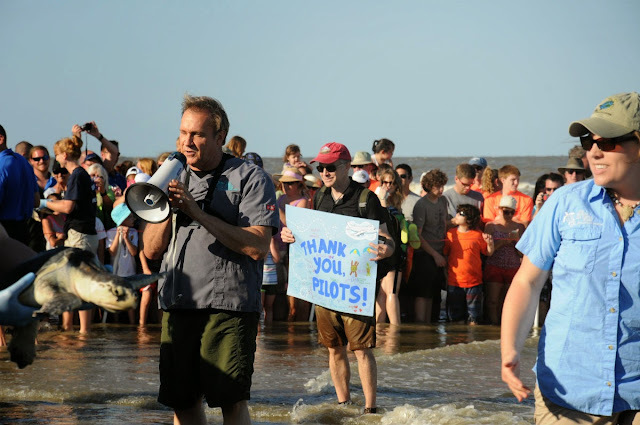 Not surprisingly, there was great excitement and energy on the beach—a sunny culmination to all those months of rehabilitation during the cold and snowy winter in New England. Dr. Norton and Michelle Kaylor of the Georgia Sea Turtle Center lead a parade of turtle carriers to the beach. 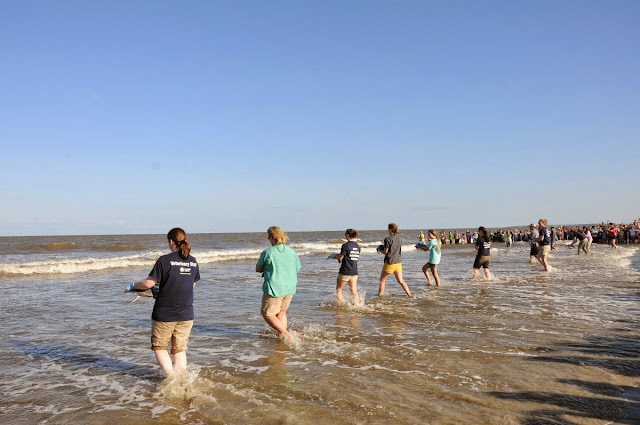 The turtle handlers let visitors get a good look at the turtles, mostly Kemp's ridley and one green sea turtle. When it was time for the actual release, Dr. Norton counted down from ten for the turtle handlers to walk the turtles into the water. His counting was quickly overtaken by the 500 or so voices yelling out the count. What a wonderful send-off for our patients! the help of our partners! 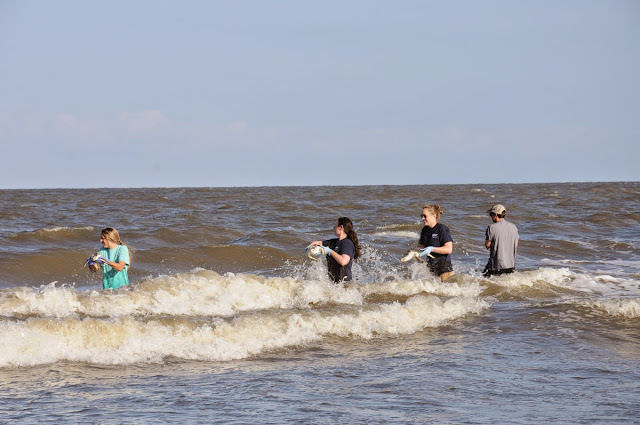 In total 15 Kemp's ridley turtles from the New England Aquarium and one green turtle from the Georgia sea turtle center were released during this joint event. Other turtles were released later. This video from the GA Sea Turtle Center's Facebook page has a cool aerial perspective of the event. Local and regional media was also on hand to film the release. 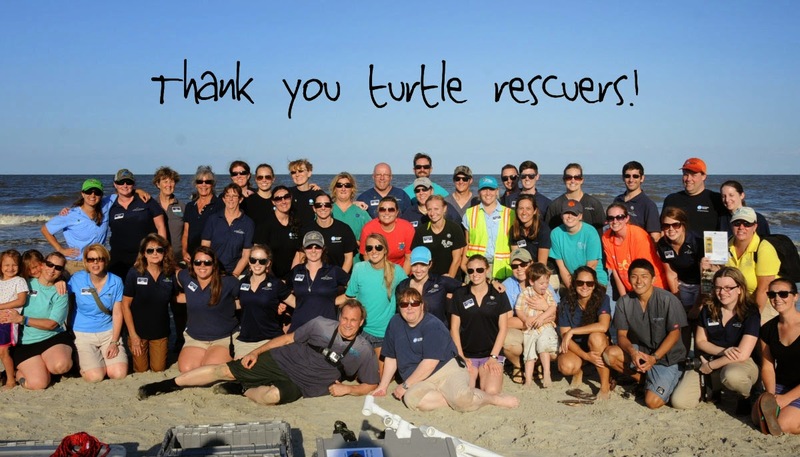 We managed to gather Georgia Sea Turtle Center staff and volunteers, New England Aquarium staff and vols and some Jekyll Island Authority staff who helped us with this event for one last picture. 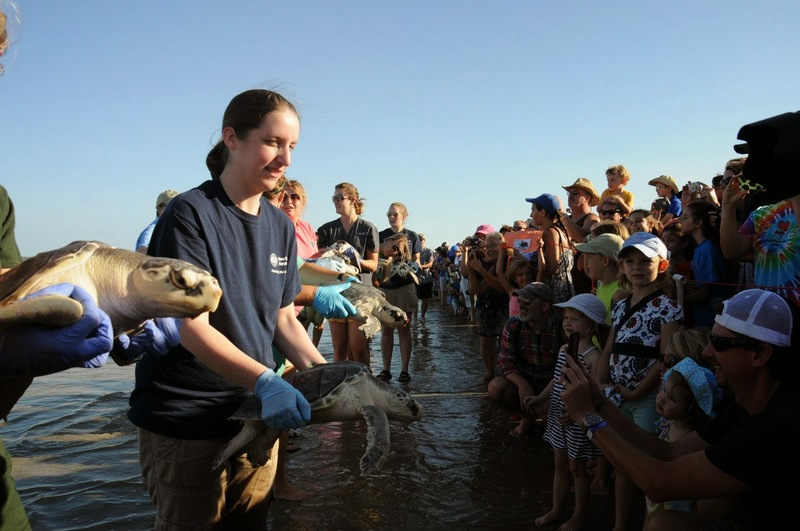 It's always inspiring to see so many people passionate about saving sea turtles.